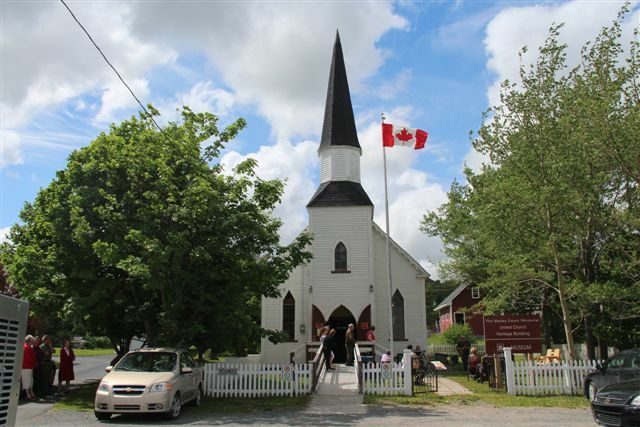 ICH Blog: Youth Heritage Night at the Wesley Gosse Heritage Museum, Spaniard's Bay, July 20th. Youth Heritage Night at the Wesley Gosse Heritage Museum, Spaniard's Bay, July 20th. Head out to the Wesley Gosse Heritage Museum for our Youth Heritage Night. You will hear from our museum interpreter, Thomas who will be sharing some interviews from the past year with some members from the community, Stewart Brazil, who will be sharing stories about filming the documentary Newfoundland in Armageddon, Jenna Lee Ralph who will be telling us about her trip to Beaumont Hamel, and more! What a terrific opportunity to show our support and pride for Spaniard’s Bay youth! The event is at 7pm at the Wesley Gosse Heritage Museum, located in the former United Church, 6 Church Hill across from Harold Gosse Park & Gazebo. See you there!